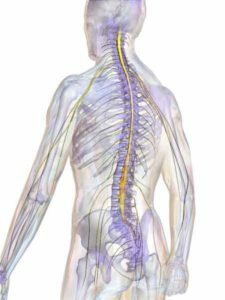 Home » Why are Spinal Cord Injuries So Serious? After a serious accident, Denver personal injury lawyer Sean Olson can help. Reach out today to discuss the details of your case at no charge. Spinal cord injuries are among the most severe types of injury that any person could sustain. It was not long ago that spinal cord injuries were, almost by definition, fatal injuries. The National Institute of Neurological Disorders and Stroke notes that very few people were able to survive spinal cord injuries in the era prior to World War II. Thankfully, our society has made major strides. Not only are our doctors much better at treating the initial spinal cord injury, but we have learned a tremendous amount about spinal cord rehabilitation and about helping injured victims maximize their quality of life. Unfortunately, we still have a very, very long way to go. As the spinal cord governs the operation of the entire human body, any injury can have a profound impact on a person’s ability to function. Spinal cord injuries are serious because our spinal cords govern the operation of the entirety of our bodies. Any injury to a spinal cord can have profound effects on your ability to move a limb, your ability to touch and feel and experience sensations. They can affect your ability to live at all. As a result, if you believe even a little bit that someone around you or yourself has suffered a spinal cord injury, it is very important to seek medical attention immediately. If the injury you’ve suffered as a result of someone else’s fault or someone else and negligence, it’s important to speak to a legal professional with experiences in spinal cord injuries. Here at The Olson Law Firm, we take pride in the fact that we know how to get justice and compensation for people who have experienced spinal cord injuries. In most cases, a spinal cord injury occurs when a sudden blow causes a fracture or dislocation to vertebrae. When this type of accident happens, serious spinal cord damage occurs almost instantly. The stretching, displacement, or rupturing of the spinal cord can have catastrophic consequences. Within a matter of minutes, the injury disrupts blood flow and causes severe swelling. Even more concerning, spinal cord injuries can continue to worsen for weeks and even months after the initial accident. Any spinal cord damage sets off a chain of events that can cause severe damage to cells, nerves, neurons, axons, brain matter, and the immune system. Further, changes in the victim’s blood flow can cause additional damage. The long-term prognosis for a spinal cord injury will depend on many different factors. What we do know is that early medical intervention and high-quality ongoing rehabilitation assistance is critically important to help spinal cord injury victims make the best possible recovery. Spinal cord injuries require extensive, sometimes lifelong medical care. Victims and their families must be able to access the full resources available to provide the best treatment. If you or your loved one suffered a spinal cord injury as the result of the negligent conduct of another party, you need to speak to an experienced legal professional immediately. Our law firm seeks justice and full compensation for injured victims. Our compassionate Denver personal injury lawyer Sean Olson has skills and experience needed to pursue complex spinal cord injury claims. For immediate legal guidance, please do not hesitate to contact us for a free, no-obligation initial consultation.